A petition signed by dozens of Knesset members called on Prime Minister Ehud Olmert to demand that the Palestinian Authority restore Joseph's Tomb in the framework of the ongoing peace negotiations. The compound, located near the West Bank city of Nablus, was ransacked in the aftermath of the IDF's retreat from the site on October 7, 2000. Among those who signed the petition were Likud chairman Benjamin Netanyahu, Shas leader Eli Yishai and nine of his fellow party members, as well as several other lawmakers from Kadima, Yisrael Beiteinu, National Union-NRP and United Torah Judaism. "The tombstone is completely shattered, and the holy site is desecrated in an appalling manner, the likes of which we have not seen in Israel or anywhere else in the world," the MKs said in the petition. The petition was initiated by a group of Breslov hasidics who are looking to reopen holy sites under Palestinian control to Jewish worshippers. 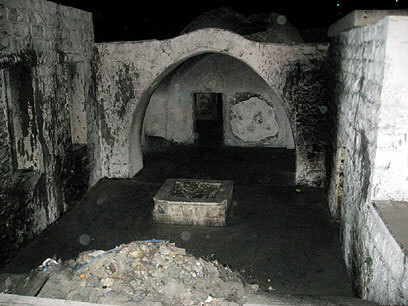 Natan Scheider, a member of the group, told Ynet that Joseph's Tomb was well-protected by Palestinian police officers until Israel's "Defensive shield" operation in 2002. "When the officers left the site it became a garbage dump," he said. "It is a catastrophe what is happening there. Joseph the righteous was one of the pillars of the Jewish nation." Scheider said he believed the relinquishing of Israel's control over the site constituted a modern version of the "selling of Joseph to the Ishmaelites." "We have learned that selling off Joseph brings with it great troubles," he said. "When (the IDF) left Joseph's Tomb the initfada began." 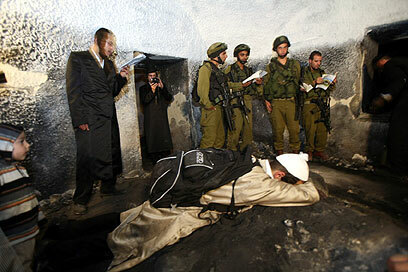 See all talkbacks "MKs demand restoration of Joseph's Tomb"